Black Cat Bash a Blast! What a wonderful night! We were thrilled to welcome approximately 200 guests who had an opportunity to enjoy Tree House’s new shelter in a unique way. Guests enjoyed many delectable tastings from a variety of some of Chicago’s best restaurants. A big thank you to all our incredible participants including Hub 51, Swirlz Cupcakes, Wow Bao, M Burger, The Bad Apple, and Food Life. Visitors also enjoyed specialty cocktails, wine, and beer along with a live DJ on the patio. And had a chance to win some great prizes at our raffles! All proceeds from this event support our work to save, rehabilitate, and adopt cats in need! 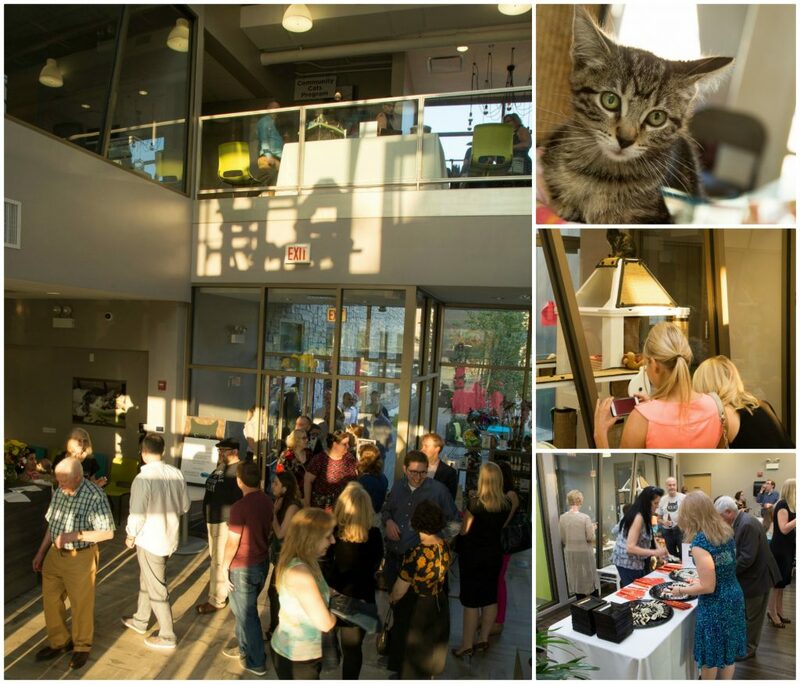 We are grateful to everyone who made this, our first fundraising event at our new facility, a success – the cats are the real winners!